His Holiness Pope Benedict XVI and His All Holiness Patriarch Bartholomew I join hands as they bless the Christian faithful in Istanbul near the Patriarchal residence. “If a man thinks highly of his brother, deeming that the Lord loves him—and especially if he believes that the Holy Spirit dwells in his soul—that man is near to the love of God.” -St. Silouan the Athonite (1866-1938). There was a time over a year ago when I was still nominally a Roman Catholic, but had been immersing myself in the life of the Orthodox Church at St. Nicholas Cathedral in Washington, DC, when my soul was in a state of transformation and transition. I longed for a solution to a question that came to me with increasing frequency: how could I continue participating in the fullness of Eastern liturgical and spiritual life and remain within Catholicism? Was this possible? I briefly considered Eastern-rite Catholicism as a kind of bridge. It would have mollified my family, since they would naturally be saddened by my conversion, they would think that I was “giving up Rome” and the faith in which they had raised me, even though I repeatedly emphasized that Eastern spiritual and liturgical life added so much to, rather than took away, any sense of my catholicity. Initially Eastern Catholicism seemed ideal: I could worship in the Orthodox liturgical form and have access to the incredibly rich Eastern spirituality which Western Catholicism in the Ordinary Form (Novus Ordo/Mass of Paul VI) of the Roman rite so lacked, while still honoring the Pope in the litany. 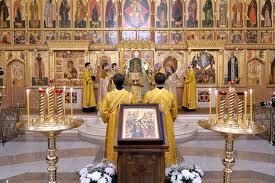 How much of their historic Orthodox liturgical and spiritual life do Eastern-rite Catholics maintain? I eventually realized I could not fully be a part of the Orthodox spiritual and liturgical life I had so come to love while remaining outside the Orthodox Church that had uniquely preserved it all these centuries. Likewise, I could not remain in a Church that, however much autonomy it was now recently allowing its Eastern members, had often suppressed their liturgical and spiritual life in the past. In the Catholic Church today, its Western and Eastern members still have to adhere to certain papal innovations in order for Rome to deem them fully Catholic and “within the See of Peter”. Thus, when we pray in the Liturgy, and on our own in our daily prayers, if we can find it in our heart to pray for our enemies, to genuinely love them, and to recognize the presence of God in them, we are on the path to holiness and divinization, becoming like unto God Himself. Much more easily, we should feel this love for our brothers, for those who support us and love us, and for all those who we befriend and hold dear to us, including those of other faiths. The unified pre-schism Church prayed for heretics like Arius to repent and come back to the fold. Why then should we not pray in true love and charity for Roman and Eastern-rite Catholics, who are not our enemies but brethren from whom we are currently and lamentably divided? While we do not yet pray for the Pope by name in the Litany, as we did for centuries before the schism, we pray in our opening Great Litany as we have for centuries “for the welfare of the holy churches of God and for the union of all”. Catholics are not only not our enemies, but they are our friends and neighbors and often in the U.S. (as in my own case) they are beloved family members with whom we are hoping very much to, in the fullness of time, restore communion. St James Roman Catholic Church, my family’s parish in Setauket, New York, where I received First Communion and Confirmation as a Catholic. Eastern-rite Catholics today are in a more comfortable position within Catholicism than they were before the late Pope John Paul II issued his Code of Canons for the Eastern Churches in communion with Rome in 1990. 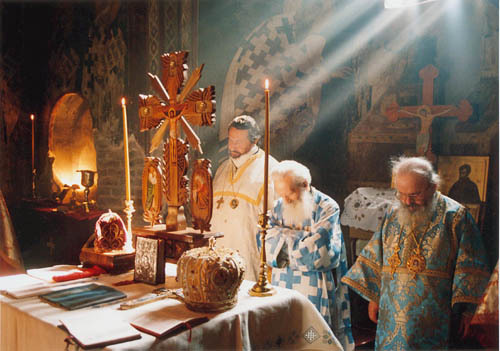 The Pope’s 1995 apostolic letter Orientale Lumen (“Light of the East”) praised the unique spiritual and liturgical gifts which Eastern/Byzantine Catholicism added to the faith, and urged the Eastern Churches to restore many of their recognizably Orthodox liturgical and spiritual traditions which had often disappeared or were dying out due to forced or inadvertent “latinizations”. 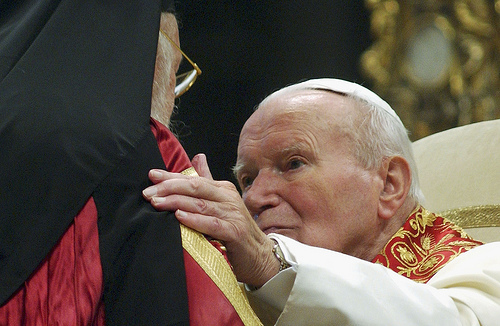 HH Pope John Paul II worked closely with Orthodox patriarchs to establish greater understanding, friendship, and ecumenical dialogue exploring ways to restore communion between the ancient Churches. Such latinizations included forbidding Eastern-rite Catholic priests to marry, introducing the practices of First Communion and Confirmation as separate sacraments given to children and teenagers apart from infant baptism, the Stations of the Cross and Eucharistic adoration, kneeling for parts of the liturgy, etc. Examples of the ‘Orthodox restorations’ in the wake of Orientale Lumen include the adoption by Eastern Catholic churches of the celebration of Presanctified liturgies during Lenten weekdays, the increasing ministering of infant baptism followed by immediate chrismation and partaking of the Eucharist, and other historically Eastern Orthodox practices lost or discontinued in many Eastern parishes over the years. While it is a joy to see my Eastern Catholic brothers and sisters free at last to rediscover so much of their ancestral Eastern liturgical and spiritual heritage, the 1990 Canon in particular has caused Orthodox bishops and theologians considerable bewilderment. While encouraging the promotion of Eastern, essentially Orthodox orthopraxy, in many ways the Canon reaffirmed core aspects of Roman Catholic papal orthodoxy. It requires Eastern-rite Catholics to accept in principle yet not teach in practice many Roman beliefs which the Orthodox consider heresies and treat as obstacles to a restoration of Communion. 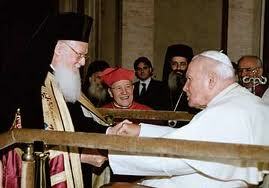 HH Pope John Paul II and HAH Patriarch Bartholomew established a close relationship and encouraged ongoing dialogue between Catholic and Orthodox religious leaders. 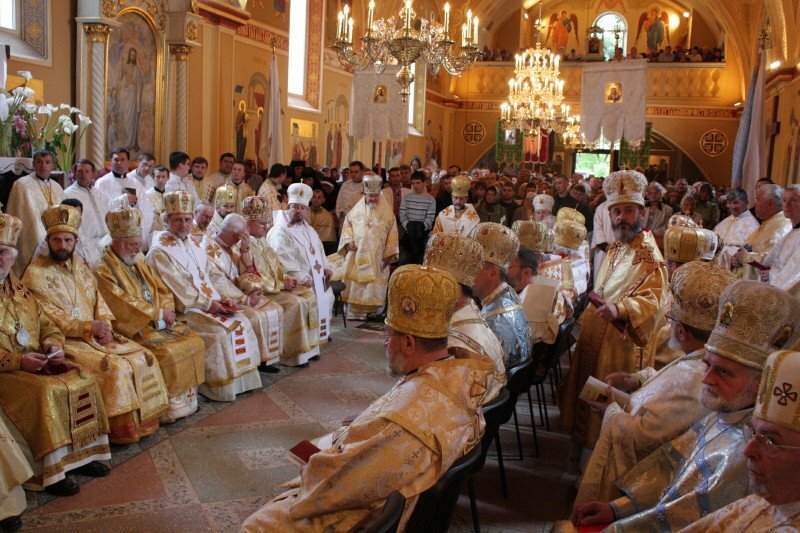 The Canon stipulates that Eastern Catholics must submit to and acknowledge universal papal jurisdiction and above all supremacy and infallibility ex cathedra in order to be in communion with Rome, yet since Orientale Lumen and the introduction of the Canon, most Eastern parishes are today allowed to worship essentially as Orthodox Christians in their liturgical life. One of my Eastern Catholic friends who attends Georgetown University thus describes himself as an “Orthodox in union with Rome”. 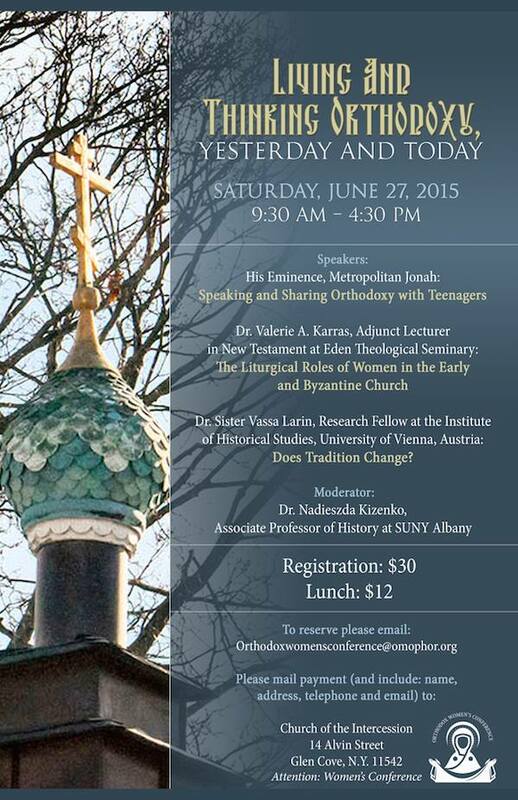 As a result of this complicated history with Rome and persisting uncertainty as to the extent to which the recent ‘restoration’ of Orthodox practices in the Eastern Catholic eparchies will facilitate the renewal of these parishes’ historic liturgical and spiritual life after decades of alterations, the Orthodox look upon the situation of the Eastern Catholics with some caution. Rome historically compelled them to insert the Filioque in their recitation of the Creed, forbade the Eastern parishes from ordaining married priests, and many Roman Catholic bishops refused to allow the Eastern parishes to function autonomously within the Catholic communion but instead imposed various latinizations in their worship. Fr. Alexis Toth’s conversion to Orthodoxy a century ago, which brought many thousands of Ruthenian Byzantine Catholics into the fullness of the Orthodox faith of their ancestors, is an example of the often unstable position of many Eastern Catholics within the Catholic Church which historically did not allow them autonomy in their liturgical life. We cannot help but wonder what would happen if we too quickly embraced communion with Rome. What would happen to the deposit of the Faith, and how would we address the important questions on how the unity of the Church is maintained? One of my friends, a catechumen due to be chrismated this Pascha, observed in a discussion with the Eastern Catholic friend mentioned above that in the past millennium out of communion, “Orthodoxy and Roman Catholicism have developed fundamentally different diagnoses on how to fix the human condition and this affects practice.” Most Roman Catholics remain completely unaware of the existence of Eastern-rite Catholics within their own communion, and so they are unfamiliar with the core Eastern belief of theosis. As a result, in their soteriology Eastern Catholics have far more in common with the Orthodox than the Roman Catholics with whom they are in communion. The Western and Eastern views of the human person, our purpose in this life, and our possible progression and destination in the next are profoundly distinct.The Augustinian view of original sin comes to mind—most Catholics today are horrified when they read the Thomistic scholars’ rationalist and legalistic interpretations of Augustine’s elucidations, which logically led to Calvinism’s heresies of Double Predestination, Total Depravity, Unconditional Election, etc. Calvinism is in some ways the inevitable rational conclusion to much of Augustinian thought, for both Calvin and Augustine believed in the essential evil and depravity of the human person, especially in the condition of ‘original sin’ before baptism. Thus Augustine enunciated what became a widespread Catholic tradition—still embraced by many Catholics today despite the official Church hierarchy distancing themselves from it—that unbaptized babies go to Limbo, a remote corner of the universe, a kind of netherwolrd (seen as a physical place) where they never behold the ‘Beatific vision’ of God. What kind of a monstrous God would condemn sinless infants to suffer for eternity? Calvin only took Augustine’s views further, teaching a God who allows no free will to follow Him but “Unconditional Election” for the pre-ordained righteous. While he saves a tiny minority, the God of Calvinism likewise predestines most people for hell-fire before their birth – this is Calvin’s theory of ‘Double Predestination’. This is likely part of the reason historically Calvinist countries – such as Scotland where I now am residing – have higher rates of atheism than surrounding states and lower rates of church attendance: how depressing to hold to belief in such a God! 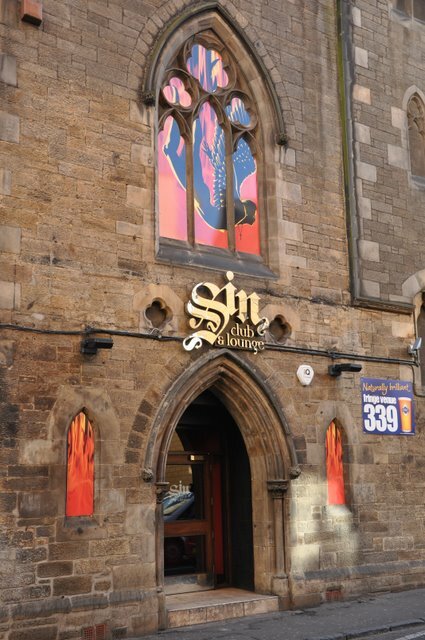 Edinburgh’s “Club Sin” is a former Kirk of Scotland parish church converted to use as a lounge and nightclub. In addition to different views on soteriology, Orthodox and Catholics maintain very different views of how the unity of the faith is and should be maintained. On the Roman Catholic doctrines of universal jurisdiction and papal supremacy, the 1997 Catechism of the Catholic Church teaches that “The Pope, Bishop of Rome and Peter’s successor is the perpetual and visible source and foundation of the unity both of the bishops and of the whole company of the faithful.” In comparison, we Orthodox would say that Jesus Christ is the sole foundation of the unity of the Church – the bishops and the whole company of the faithful – not any mortal man. The Patriarchs of the Orthodox Church are the earthly spiritual heads of their respective jurisdictions, and the Ecumenical Patriarch has from the time of the Great Schism gradually come to exercise the primacy of honor and authority formerly accorded to the Pope of Rome by the other patriarchs, but the notion that one man — the Pope — is the “perpetual and visible source and foundation of the unity” of the Church is absolutely foreign to the first thousand years of orthodox, catholic Christianity. How does the 1997 Catholic Catechism define the Pope’s ministry? In terms which echo the First Vatican Council’s rigid ultramontanism: “The Roman Pontiff, by reason of his office as Vicar of Christ, and as pastor of the entire Church has full, supreme, and universal power over the whole Church, a power which he can always exercise unhindered.” This is the very antithesis of the episcopal collegiate conciliarity which is a key part of the ancient Tradition which administered and held together the Sees of the early Church, of which Rome was always first in honor and charged with a universal mediatory role. Both Catholic and Orthodox Churches accept the first seven Ecumenical Councils as binding and authoritative, for in these councils the bishops of the universal (“catholic”) Church assembled to defend the orthodox Faith, condemn heresies, and issue statements reiterating central Christian doctrines and beliefs. Rome considers later councils which popes called after the Great Schism to be ecumenical, but none of the Orthodox Churches recognize these claims. Besides these theological concerns, one more significant day-to-day aspect of Church life in which senior Vatican prelates continue to upset and interfere with Eastern Catholic parish practice is the question of married clergy, which Rome has continued to discourage (previously it had strictly forbidden Eastern Catholic seminarians from marrying). Thus, for all these reasons, we are understandably hesitant to rush to a restoration of communion. Sadly, arrival at true reunion will continue to elude us if Rome persists in keeping the innovations of monarchical papal supremacy and infallibility ex cathedra in the way it currently practices and teaches these as dogmas. We know this schism was not meant to be, but until the Vatican alters its position, we must remain out of communion, for we cannot risk compromising the fullness of the Faith which we see Rome has so utterly compromised in the past thousand years. While it is heartening and intrinsically a good thing that we Orthodox dialogue with the non-Orthodox, including Rome and the non-Chalcedonians, I remain immensely reserved as to the actual state of affairs of the vast majority of the Roman communion, which uses the Ordinary Form of the Roman Rite (the Mass of Pope Paul VI). 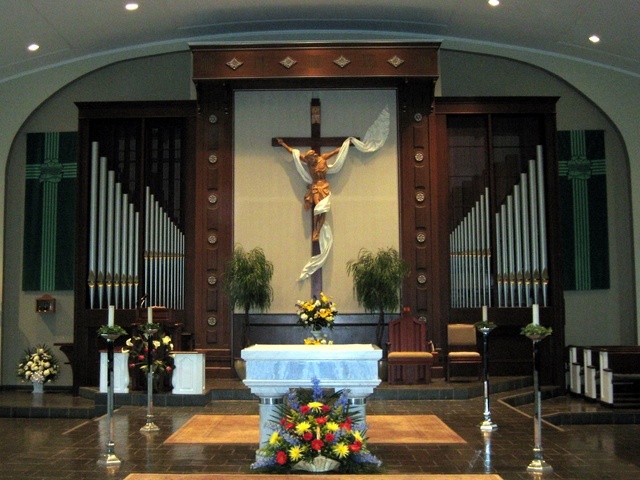 Despite the Ordinary Form’s liturgical rubrics which call for retaining and preserving many traditional elements of Catholic worship, the Ordinary Form in practice is usually 1) spoken, not sung, 2) celebrated without incense, 3) celebrated versus populum instead of ad orientem, 4) often accompanied by guitars, trumpets, flutes, and piano, and 5) indicative in terms of the overall ethos or atmosphere of the service of many latent protestantizations widespread among the attitudes of the Catholic laity especially in North America. Naturally, a sixth point to consider is the long history of the latinization of the Eastern Churches. I cannot help but speak to my greatest fear: that, with the Extraordinary Form of the Roman Rite, Anglican Usage, and the various ancient Eastern Rites excepted, the way Rome usually offers liturgy — the Ordinary Form of the Mass — is in practice, though not in theory, far removed from anything resembling Orthodox worship. Exterior actions and how we worship speak to inner truths of what we believe and why. As much as many devout and more traditional-minded Roman Catholics wish to cover their eyes and ears, the reality is that, year after year, gross examples of flagrant liturgical abuse go on with no censure or correction from Rome. What is the point of acknowledging the supremacy and theoretically absolute power of a Pope who either will not or cannot do anything to stop such liturgical abuse? A theoretically absolute, all-powerful Pontiff who is helpless or unwilling to correct liturgical abuse strikes many Orthodox as an absurd concept. This video (numerous others exist of the same “Los Angeles Religious Education Congresses“) shows tens of thousands of Catholics gathered for “Mass” in the Ordinary Form in a large arena presided over by numerous priests, bishops, and even the Los Angeles archbishop. Think of that: the archbishop either freely chose to, or felt obliged, to attend this event. Here is a video of none other than Pope Francis, then-Cardinal Bergoglio, celebrating an “Archdiocesan Children’s Mass” in Argentina in 2011. Please watch the entire video. When you take into account that Pope Francis — a man who while Cardinal of Buenos Aires regularly attended both Orthodox and Eastern Catholic divine services, a man who has forged a close relationship with HAH the Ecumenical Patriarch Bartholomew, as his two predecessors have — willingly presided over such a service as the “Children’s Mass”, this means that either Rome approves of such abuses — silence often conveys tacit approval — or that Rome is powerless to do anything to stop the liturgical abuse, or (worse) that she simply does not care. What is the point of acknowledging a theoretically Supreme Pontiff and Vicar of Christ when, since 1969, these men have been utterly unable, or unwilling, to enforce basic aspects of decent, orthodox liturgical worship? Assuredly our problem is neither geographical nor one of personal alienation. Neither is it a problem of organizational structures, nor jurisdictional arrangements. Neither is it a problem of external submission, nor absorption of individuals and groups. It is something deeper and more substantive. The manner in which we exist has become ontologically different. Unless our ontological transfiguration and transformation toward one common model of life is achieved, not only in form but also in substance, unity and its accompanying realization become impossible. No one ignores the fact that the model for all of us is the person of the Theanthropos (God-Man) Jesus Christ. But which model? No one ignores the fact that the incorporation in Him is achieved within His body, the Church. But whose church? 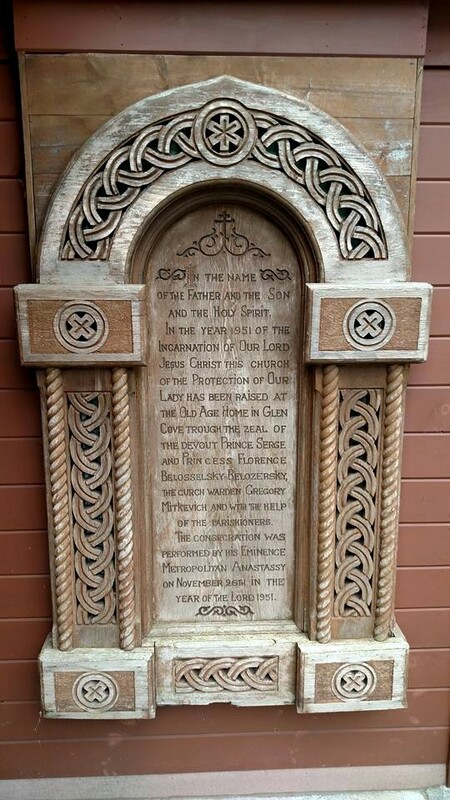 Regarding our Eastern Catholic brethren, can we look upon the history of the sui iuris Eastern Churches now in union with Rome and think “this is a safe path for us to tread?”, much less the right one? While Rome has recently and laudably begun urging Eastern Catholics to guard and restore their sometimes eroded Eastern (Orthodox) inheritance, we look upon this development with natural skepticism because it is Rome which for hundreds of years often encouraged and sometimes compelled the various latinizations in the first place, which caused undoubted harm to the life of the Eastern Christians living in union with the Holy See. I very much hope that one day we can return to communion with Rome, but, more accurately, I hope and pray that Rome returns to the fullness and timeless truth of the Orthodox Faith, the true faith of the “One, Holy, Catholic, and Apostolic Church” of which we speak in the Nicene-Constantinopolitan Creed. The simplest way to move toward this goal which we all desire is not primarily through faith in the ongoing theological conferences taking place between the Orthodox and Catholic hierarchs. While these talks have yielded promising discussions, especially with regard to the question of settling an orthodox understanding of how, should reunion take place, papal primacy is to be exercised on a universal level, they seldom impact the lives of the faithful or cause any of the bishops to ‘change’ their minds. You have within the Orthodox camp a large group of those opposed to ecumenism, a large but smaller group of those dedicated to it, and a smaller group of people like myself who see the benefits to ongoing discussions but retain a high degree of skepticism that they will produce any lasting fruit. 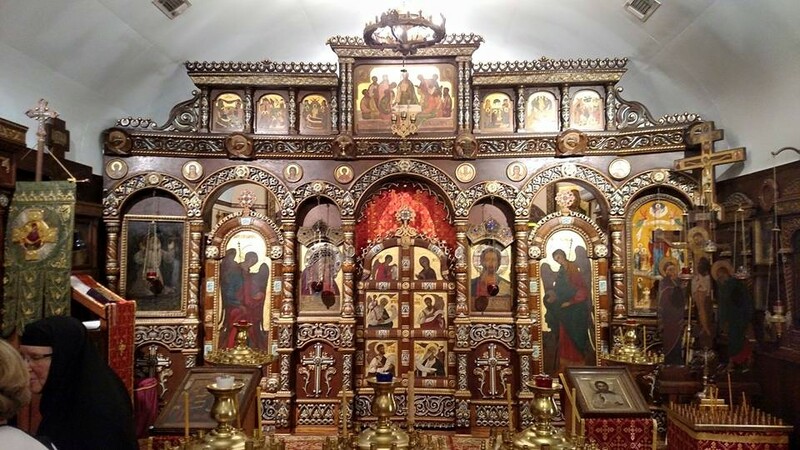 Rather, the easiest and most natural way for East and West to grow closer is for ordinary faithful of the Roman and Orthodox Churches to introduce each other into the traditions of their Churches. Let every Roman Catholic know what it is to experience not only the solemn Extraordinary Form (Latin Mass) and dignified Anglican Usage of his or her own communion, but let them experience the majestic Byzantine Liturgy of St Basil the Great or that of St John Chrysostom. Likewise, let every Orthodox come to experience the reverence of the Extraordinary Form of the Roman Rite, and the beauty of the Anglican Usage. We can grow closer together through a greater understanding of who we are, what we believe, and what we can learn from the beautiful, orthodox aspects of each other’s faith traditions. Western Christians would greatly benefit spiritually from greater access to the Eastern Church Fathers and their teachings on theosis and the potential divinization of the human person, which are largely missing in the West. Similarly, many in the Christian East are unfamiliar with the great writings of the Western pre-schism Fathers and many of the pre-schism Western saints. The Western musical traditions of Gregorian and Ambrosian chant and evensong would be wonderful additions to some Orthodox churches (see “Western Rite Orthodoxy”). Eastern Catholics should invite their Roman Catholic and Orthodox brethren to attend their divine services, and Orthodox should invite both Western (Roman) and Eastern Catholics to our divine services. 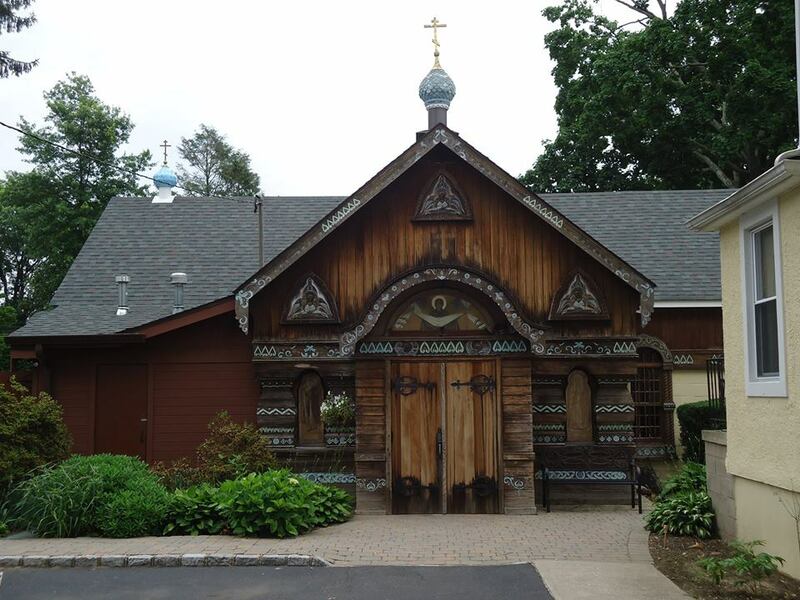 More ethnically-rooted Orthodox and Eastern Catholic parishes, while laudably preserving their unique heritages and showing greater hospitality and warmth to visitors in recent years, would do well to reach out more to the diverse local communities beyond their church walls. Participation in a common liturgical life by Eastern Orthodox and Eastern Catholics will lessen feelings of otherness, and Eastern Christians of both Churches should introduce Western Christians to the beauty and transcendence uniquely found within the services of Matins (Orthros), Vespers, and the Divine Liturgy. Most of my immediate family members, most of my aunts and uncles, and my grandparents all remain Roman Catholic, so naturally I long for a restoration of the ancient and natural communion between our Churches. It is what Christ prayed for, that “they may be one” just as He and God the Father are one. 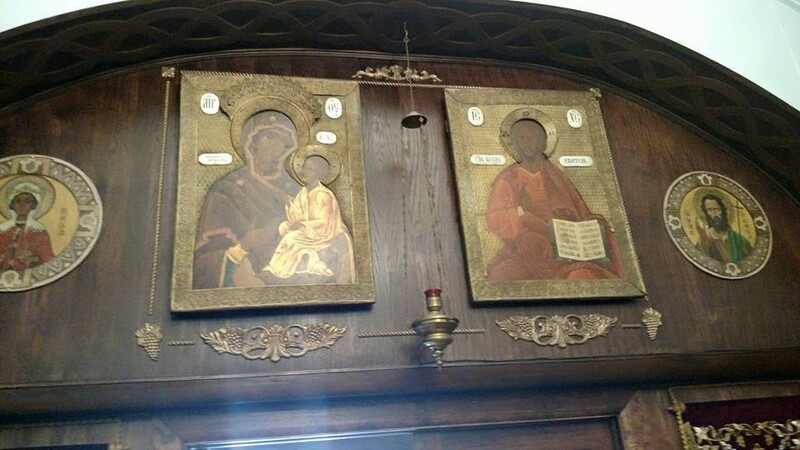 Just as the Holy Trinity contains three divine Persons, a restored Communion would include three Church Traditions: the Orthodox, Roman, and the Eastern Catholic, and just as the divine unity of God does not prevent the loving Trinity of three Persons, the oneness of a restored communion will not mean that the Orthodox are subsumed into the Roman Catholic fold, but at last in full communion with the ancient primus inter pares See of the early Church. Naturally, this can and will only happen when all the Orthodox are convinced of the Orthodoxy of the Pope of Rome and his flock. I do not expect this to happen for many years. 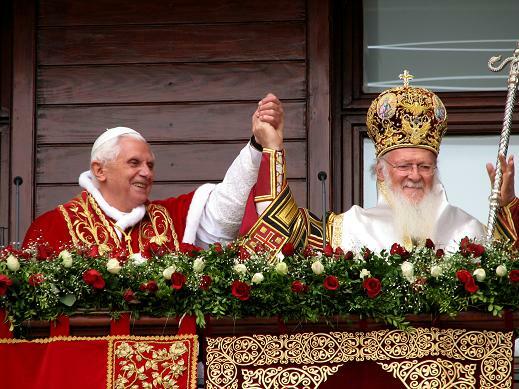 When communion is restored in the fullness of time, a monumental dream will have been realized as East and West will at last be reunified in the fullness of the One, Holy, Catholic and Apostolic faith — the faith we Orthodox have preserved by God’s providence through the grace of the Holy Spirit — after a millennium of separation. However, it is crucial that in our natural but cautious movement toward a restoration of communion, we not seek to move precipitously beyond this basic restoration. To do so is not only unnecessary, but would risk corrupting the integrity, fullness, and beauty of ancient Faith delivered to us to carry on and defend. For now, we should aim for something deceptively simple, but actually beautifully complex: a better understanding of each other’s faith traditions, and entry into a deeper love for each other as Christians which strips away the obstructive barrier of otherness. By this love, we will, through God’s grace in the Holy Spirit, come gradually closer to a unity in a shared faith which today eludes us.